We are all familiar with the name of yoga guru “Ramdev”. He is well known for his yoga and spiritual healing. 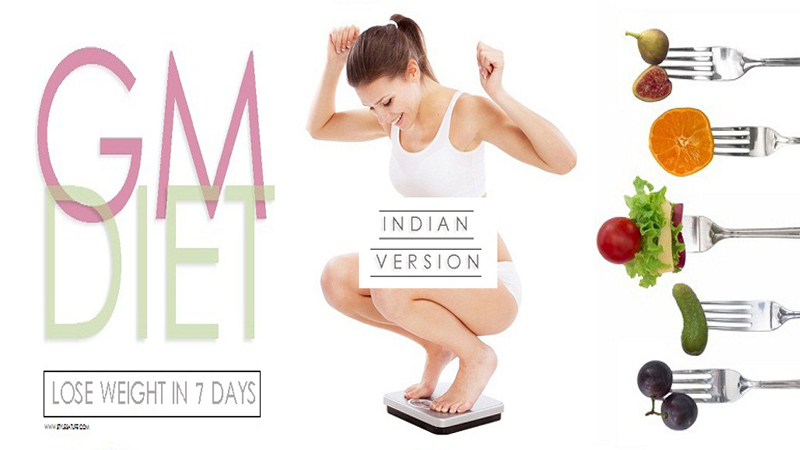 With the help of yoga he spread the message that yog have the power to eliminate diseases. It is also very helpful to keep your skin healthy and beautiful. He has come up with the brand name of Patanjali which has been produced lot of household products. Patanjali also came up as a good competitor in beauty world and lot of people rapidly tend these herbal products. Here the research is done on the area of face pack. Patanjali has made lot of herbal face pack and they also give best results on every wash.
Ubtan is known as a best skin face pack from early age. 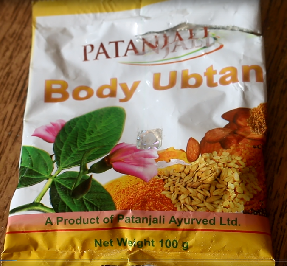 Patanjali body ubtan face pack is the combination of almond, lentil, black gram, mustard seed, soybean, rice, turmeric and camphor. The light yellow ubtan has the tough fragrance of camphor. This 100 % herbal product deeply cleanses your skin and removes the dead cells away. 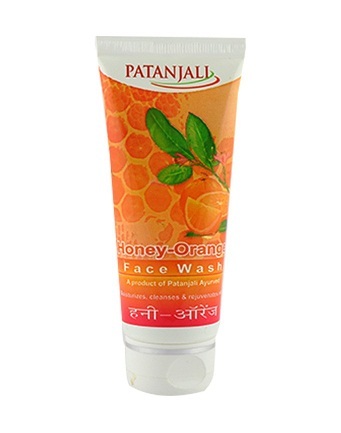 This patanjali face pack for fairness is highly concentrated to the fairness and skin lightening. Use: Take 3-4 tablespoon of face pack. Mix it with clean water. Apply on skin face and neck and leave it for 10 minutes. Then wash with clean water. Price: INR 60 for 100 gram. 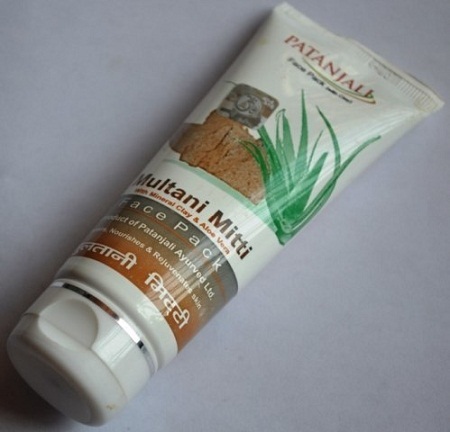 The multani mitti face pack patanjali is a exclusive blend of raw materials and soil for young radiant skin. Gairika sooths the skin and increase blood flow. Aloe Vera softens and heals the scars. Natural resources like Zinc oxide, aluminium and magnesium revitalise and refurbish skin. Let’s see how to use patanjali multani mitti face pack. Use: Wet your face and neck. Pour 30 gram of patanjali face pack multani mitti on your skin and let it to dry for 10 minutes. Wash with clean water. Price: INR 60 for 60 gram. 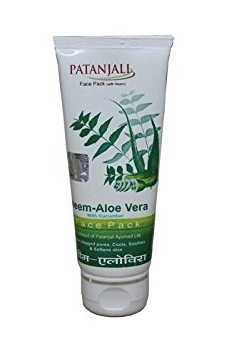 If you come to the patanjali neem face pack review, the product is enriched with the qualities of aloe vera-neem with cucumber which cleanse your skin from the inner layer and makes it spotless and gleaming always. The patanjali neem aloe vera face pack essence purifies the impurities and the aloe essence enhances the fairness. It is patanjali face pack for glowing and pimple skin. Use: Wet your face and neck completely. Squeeze 20 gram of the patanjali neem aloe vera with cucumber face pack on your palm and apply softly on your face and neck. Leave it to dry for 10-15 minutes. Wash with clean water. 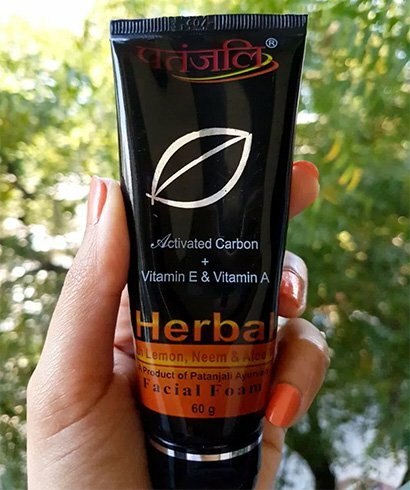 This Patanjali chandan face pack gel is loaded with the qualities of aloe and keasr which are very skin- friendly and helpful to enhance the fairness in your skin the product is 100% herbal and natural. It is very helpful to reduce the sunburns, tanning and dark circles. 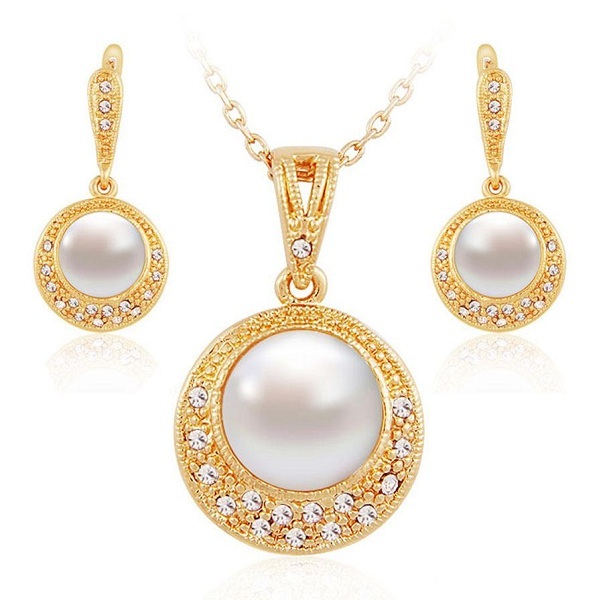 The product protects your skin from harmful sunrays and makes it glittery fair. Use: Wet your face and neck completely. Squeeze 20 gram of the face pack on your palm and apply softly on your face and neck. Leave it to dry for 10-15 minutes. Wash with clean water. Price: INR 50 for 60 ml. 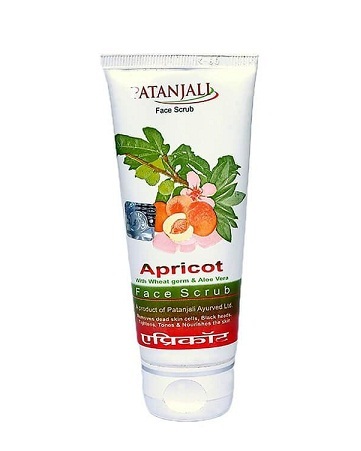 This patanjali scrub and face pack product is 100% natural and herbal. It is enriched with the qualities of apricot which is very helpful to remove dead cells and increase the blood circulation of your skin. It removes the dead cells of the skin and makes it radiant and smooth. Use:Wet your face and neck. Pour 30 gram of face pack on your skin and let it to dry for 10 minutes. Wash with clean water. Aloe has the qualities to cure many skin problems. 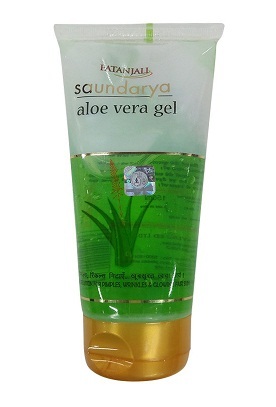 So patanjali aloe vera gel face wash is made with the essence of aloe to reduce and control the skin problems. It is very helpful to keep your skin healthy and young. Aloe deeply cleanses your skin and makes it soft and smooth. Use: Apply few drops of the face wash on your wet face and neck. Wash with clean water and dry with soft towel. Price: INR 80 for 150ml. 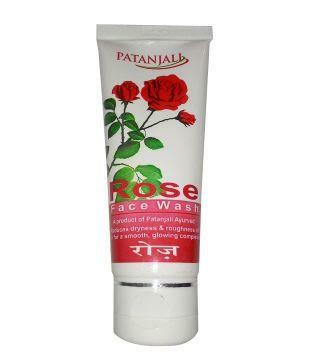 Patanjali Rose face wash is a wonderful creation from Patanjali finished with natural extracts of rose, neem and aloe vera. It is very helpful to eliminate the pimples and facial impurities. The product is enriched with the essence of rose water which deeply cleanses your face and makes it pinkish smooth. Use: Pour five to six drops on your palm. Make lather on your wet face and neck. Give it a massage and wash with clean water. Price: INR 45 for 60 gram. The increasing pollution dust and dirt are very harmful to any type of skin whether dry, normal or oily. Patanjali presents the face wash enriched with the activated carbon which is very helpful to protect your skin from pollution and makes skin fair and clear always. The activated carbon helps to deeply cleanse the dead cells and rejuvenates the skin on daily wash. This is patanjali face pack for dry skin. The patanjali face mask product is 100% soap-free and is free from harmful chemicals. It is enriched with the extracts of orange and honey which purifies your skin and makes it beautiful always. This is patanjali face pack for oily skin. All the above mentioned products and best for your skin. They are 100% soap-free as well as herbal. 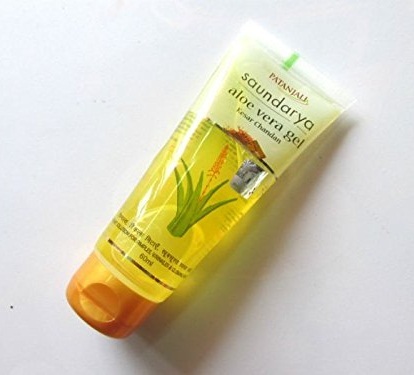 They are formulated with the deep research on Ayurveda remedies for skin care. So give it a try.